Variety is the spice of the Southwest. You wake each morning looking forward to a new adventure. What will the day bring? The soft light filtering through Antelope Canyon? The glitz of the Vegas Strip? A relaxing cruise along Lake Powell? A charming shop in Sedona? Perhaps it will be a stop to Lowell Observatory, the place where the erstwhile planet Pluto was discovered. 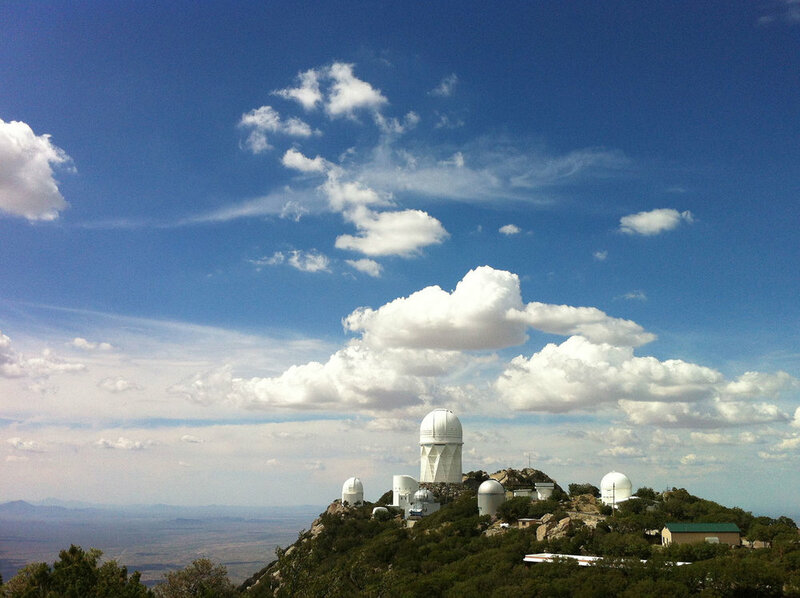 Or perhaps Kitt Peak, a modern observatory tasked with mining the sky for new treasures. And what will the nights bring? Brilliant skies welcome you with every sunset, the calm darkness surrounding you and the heavens themselves ablaze as you listen to the stories of those pinpricks of starlight. Every day brings something different, something new, something unexpected. “The American southwest is where my heart is from. My childhood summers were spent in New Mexico. I observed Shoemaker-Levy/9 From Kitt Peak as an undergrad, and went on to fall in love with refactors at Lowell Observatory. Reserve your spot today with a $300 deposit. You can also talk to our agents directly by calling 740.407.2157 and asking for the "Cosmic Stories in the Southwest" tour. For cancellation between 179-75 days prior to departure: the deposit will be retained. For cancellation between 74-45 days prior to departure: cancellation fee of 25% of total price. For cancellation between 44-15 days prior to departure: cancellation fee of 50% of total price. For cancellation after 14 days prior to departure: cancellation fee of 100% of total price.